Two Scoop Games is Alex Bezuska and Eric Lathrop. Based out of Louisville, Kentucky, Two Scoop Games has 3 major releases; Kick Bot, Scurry, and SyRUSH, and is currently working on Kick Bot DX. Two Scoop Games has also produced many prototypes for various game jams while honing their craft. More information is available in our press kit! Ever since Alex's first game system, the Super NES he always dreamed of not just playing games, but creating them. After hearing stories of the industry, and realizing that the average game developer works on a huge team and has no say in the direction of the project he became discouraged and forgot this dream. In 2012 Alex watched the film 'Indie Game: The Movie' and realized that making games is possible after all, as an indie developer! 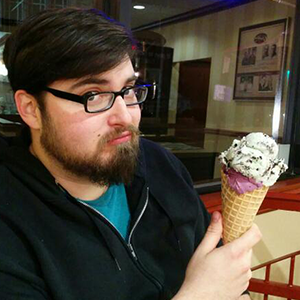 Alex now creates all the art for Two Scoop Games, and is very happy to be living his dream. 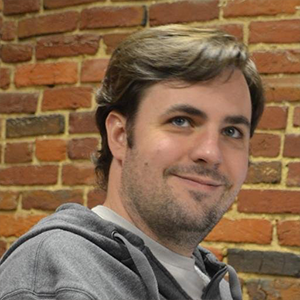 Eric is the main programmer for Two Scoop Games. Eric's first programming experiences involved modifying BASIC games on a TRS-80. Always a gamer, Eric has been playing and creating games since he was a child. Passionate about the web, Eric has been developing SplatJS, a HTML5 game engine with the goal of making it easier to make cross-platform games with web technologies. We do contract work under the name Two Scoop Interactive. Let us bring your brand to life through engaging apps, games, and interactive digital experiences.